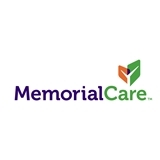 MemorialCare Medical Group Long Beach - Spring (Long Beach) - Book Appointment Online! Very good. Imformative and helpful. Both doctors were very professional. The procedure was almost painless and was performed exactly as described to me. Excellent, I really like Dr. Fields, she takes the time to talk to you. I've been coming here for about 5 years now. The staff are very friendly. Doctor Barnes is great! I also love how they have a lab here as well, so that saves me a lot of time when I need to get lab work done. I was always seen here for my last 2 pregnancies. It was my first visit to Dr.Jeffrey! I really recommend him. Thank you for listening and help.